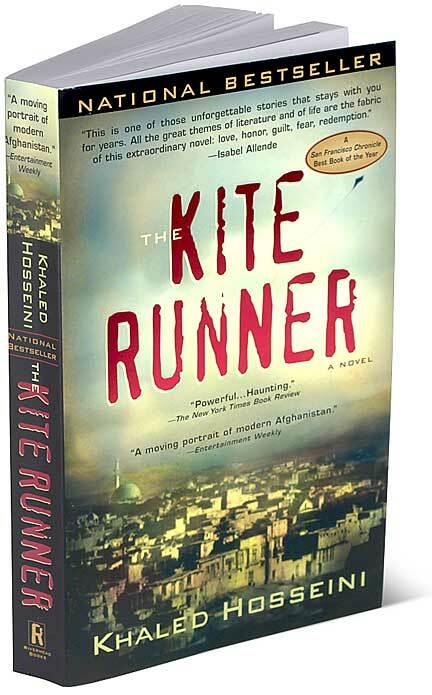 The Kite Runner is a brilliant book – a book I have thoroughly enjoyed reading and didn’t want to end at all. When you feel like that about a book you know that it’s a great book. Based in Afghanistan, a country which is in the process of being totally destroyed, The Kite Runner is a story about two friends who have a very unlikely friendship. One is a boy from a very wealthy family and the other the son of the servant. It is no doubt a page turner with a whole load of complex twists and turns that keep you riveted to the end. The man character, Amir, deals with a secret from his past and how that secret shapes who he has become. It is the story of Amir’s childhood friendship with Hassan, his relationship with his father and growing up in a privileged place in society. I got quite attached to the characters, especially Amir, Hassan and his father for some reason. With them I felt sorry, angry and I realised the characters were pretty real to me. I didn’t want this book to end and I know you will feel the same if you haven’t already read it. Great review. Have read the book and you are so right.. you can actually ‘get into’ the characters. They are very ‘live’ in this book. Khalid Hosseini has also written ” Land of the Thousand Suns’ and is equally gripping. Thoroughly enjoyed this book and ‘A thousand splendid suns’ by the same author.